This Magento Mobile Inventory Management app we’ve developed can be repurposed for any site running Magento 2. It allows admin users to login using their Magento admin account credentials and catalog the barcodes of products if not previously known and adjust stock quantities of their e-commerce site’s stock. The main aspect of this app is the barcode scanner. Just one click of the scan button is needed to bring up the scanner, and once the barcode is scanned, the barcode number is displayed and the user can then search for and select a product to assign that barcode to. The list of products can be searched through by inputting either the partial name or SKU of the product. This will instantly filter the list after each character inputted, so there’s no need to press a search button and wait for results to load. The data in the product list is being pulled using the Magento 2 REST API, which allows for all of the data on the magento site to be accessed so it can be used to display all these products. Because of all the data being pulled from the Magento API, if there are any updates to the catalog on the website, these updates will instantly be reflected in the data on the app. Upon selecting a product, that product’s image, SKU, and if it exists, the current barcode will be displayed. And with a single press of the Assign button, the previously scanned barcode will be assigned to this product. The updated data is loaded into the app from the API by using the Sync button which will replace the data currently stored in the app with the most up-to-date product information from the Magento site. The last synced date is also displayed on this page. The homepage of the inventory management app displays information such as the number of products, the number of products that have barcodes assigned, as well as quick links to sync the data with the API, and a shortcut to the scanner page. 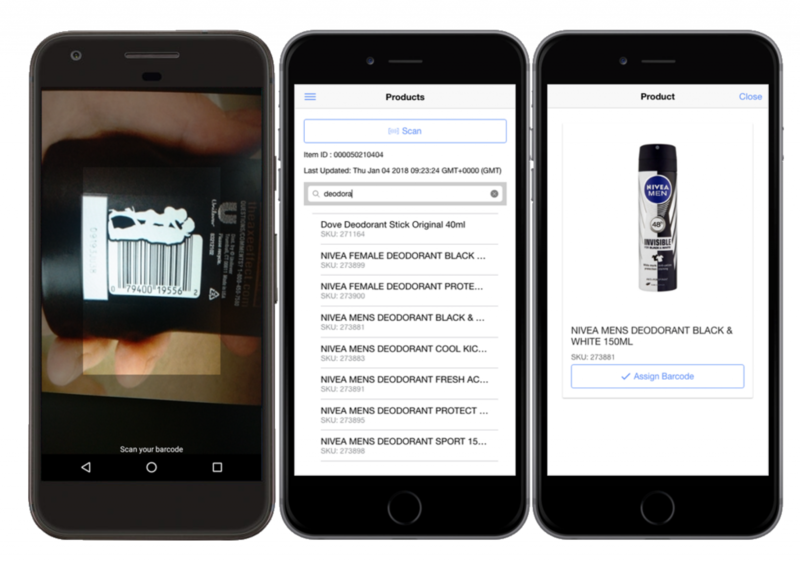 The app allows you to store barcodes for products that you didn’t previously know. This then allows scanning of barcodes using the customer facing app, which you can read more about here Magento eCommerce Mobile App.